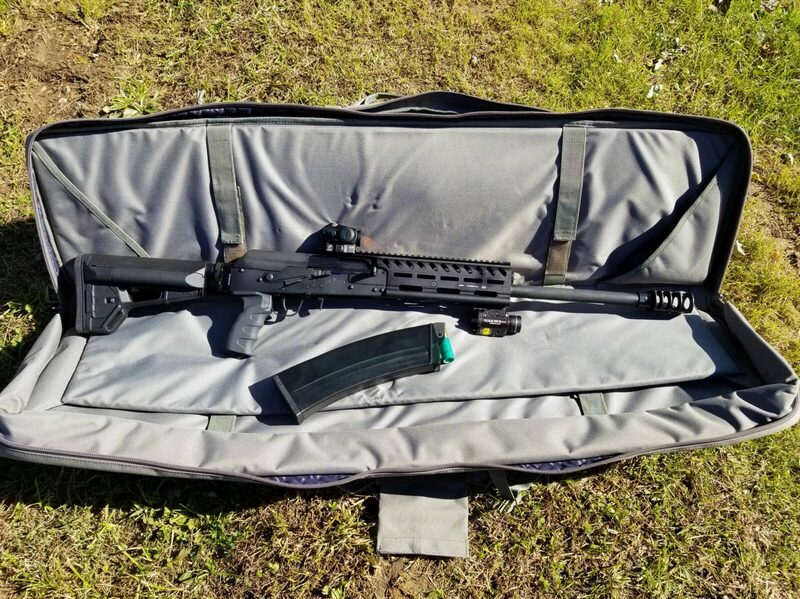 As you may have read, my first range session with my new SDS Lynx shotgun didn’t go very well when I used new untested 10 round SDS brand magazines. I posted my findings and David Fillers of SDS immediately reached out to me to address the issue. David told me they did have a few quality control problems early on and that he wanted to replace my four magazines. Note, David said they have sold over 3,000 magazines with just a few problems and given that I haven’t heard or read about others having problems, it must have just been bad luck for me. At any rate, I was impressed that he reached out so quick and a few days later the replacement magazines arrived. To make sure I didn’t have further problems, they had opened each package and tested the followers, which I appreciated. Let me tell you, the difference was night and day. The replacement magazine followers were much looser as they approached the top of the mag and felt great from the start. Exactly what I would normally expect. Of course, this then begged the question of how would they perform? 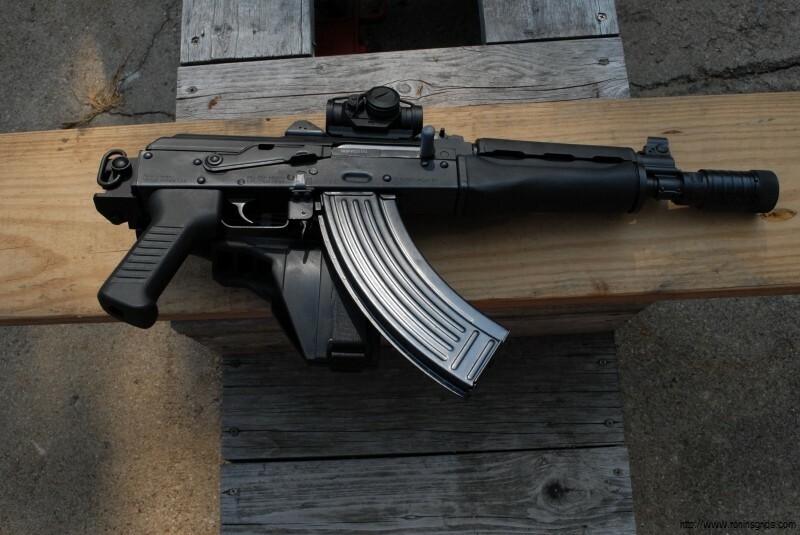 About a week after that, I finally got a chance to take the Lynx and the new magazines to the range. I could tell the Lynx was still wearing in. Whenever you have a weapon with parkerizing, it is to be expected. We put about 25 rounds of 2-3/4″ Remington 00 buckshot through it the first time and then I put about 70 more through on this trip. I’d say somewhere between cumulative round 40-50 (meaning from the fist session and this one), the SDS really started to smoothen out. How could I tell? It was cycling faster and it was kicking rounds out very aggressively so I turned the gas port down from wide open to the third widest setting. I bet I can turn that down again for these higher-power rounds in the near future. Those 12 gauge rounds are stout. It’s been years since I shot more than 25 in one session so I was feeling it. You’ll also notice that my JMAC brake loosened up. I had hand tightened the jam nut and forgot to secure it with a wrench. I fixed that problem as soon as I got home. At any rate, the new SDS 10 round magazines worked great especially once the action started smoothing out. I tried them all the way full with 10 rounds as well as starting with only five rounds. I also fired both buck shot and some Brenke slugs. Thus, I’m happy to report that the SDS magazines appear to be good to go. There is a good lesson here for all of us – including me – definitely test your gear before you need to rely on it. Thankfully this was just me getting embarrassed by my buddies at the range razzing me vs. a critical situation. Now, I next need to point out that I took the CSSpecs magazines with me also and all they did was jam so I need to contact those folks and work on them next. Well, Scott, Brooks and I went shooting a few weeks back. 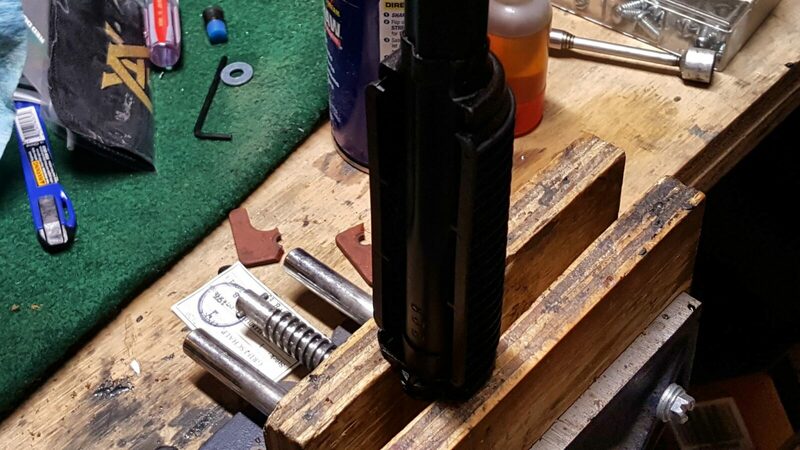 I was really excited to take my new SDS Lynx out and I had bought four brand news SDS 10 round magazines that I took out of the wrapper and threw in my range bag. That turned out to be a mistake. 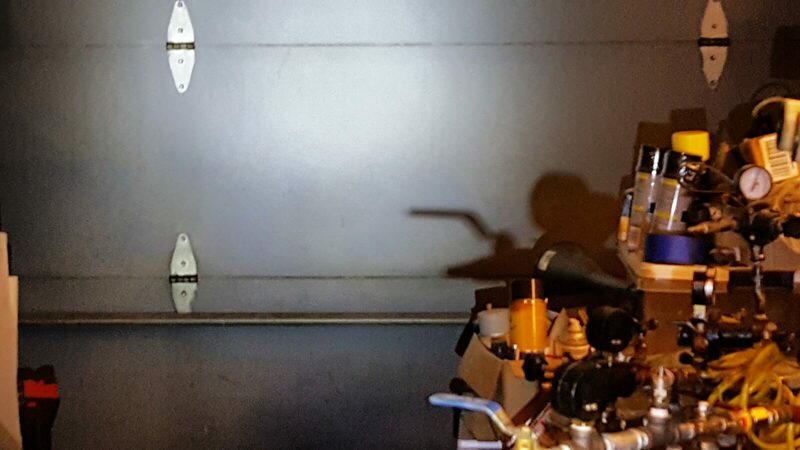 The photo above is of Scott trying to clear yet another jam from the Lynx with one of the 10 round magazines inserted – they had feed failures constantly. One of the things I was told years ago was to test everything before you rely on it. Now granted I was just going to the quarry to shoot with my friends but I really should have tested those magazines. Of the four, only one kind of worked. The followers were all hanging up about an inch from the top. The five round SDS magazine that came with the shotgun ran great but five founds at a time is not the most exciting thing. It was frustrating and disappointing at the same time. The Lynx and the mags went back in the gun case and I felt pretty stupid for not checking the mags before going. On the other hand, they were brand new and should have worked. I was more than a bit miffed also – clearly there was a manufacturing issue, Followers should spring to the top of a magazine like a rocket – not get stuck part way down. 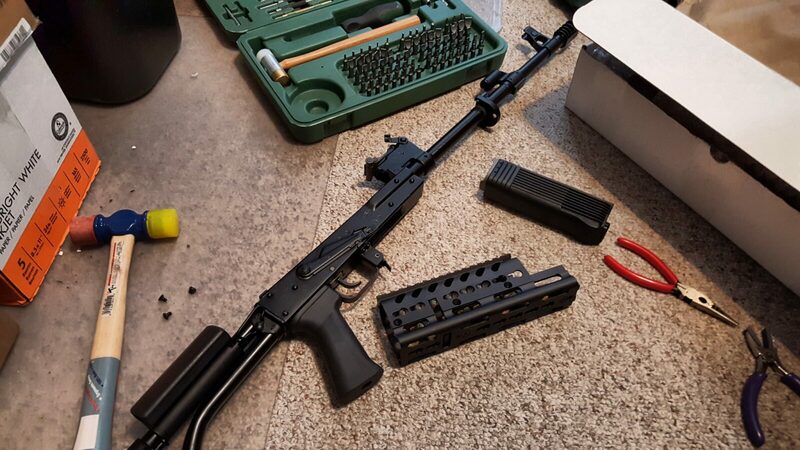 A person should not need to buy magazines and then tune them inside – getting them to fit an AK-style weapon, sure that happens all the time, but not needing to redo the internals. 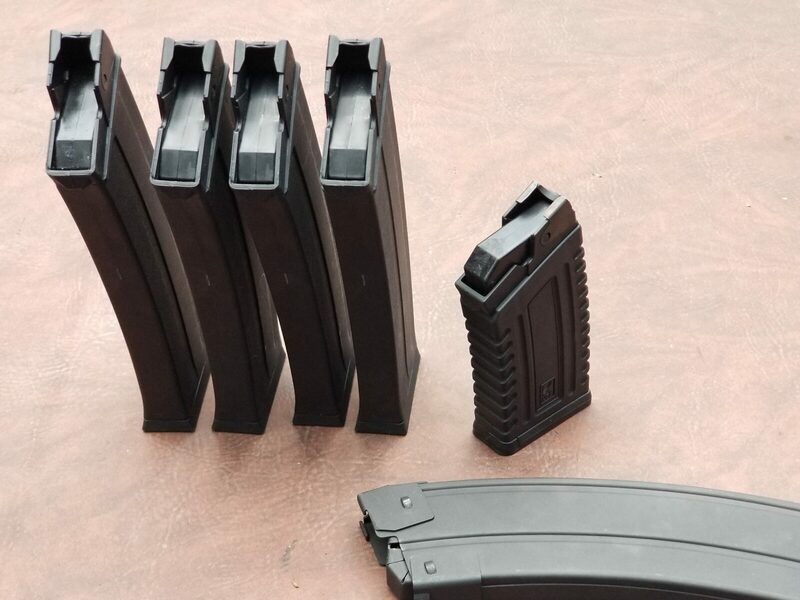 In the following photos notice how the followers are not all the way to the top compared to the small 5 round magazines. At that point I made a decision – the SDS magazines really did look well made and rather than send them back, I decided to tune them and document what I did to share with others. 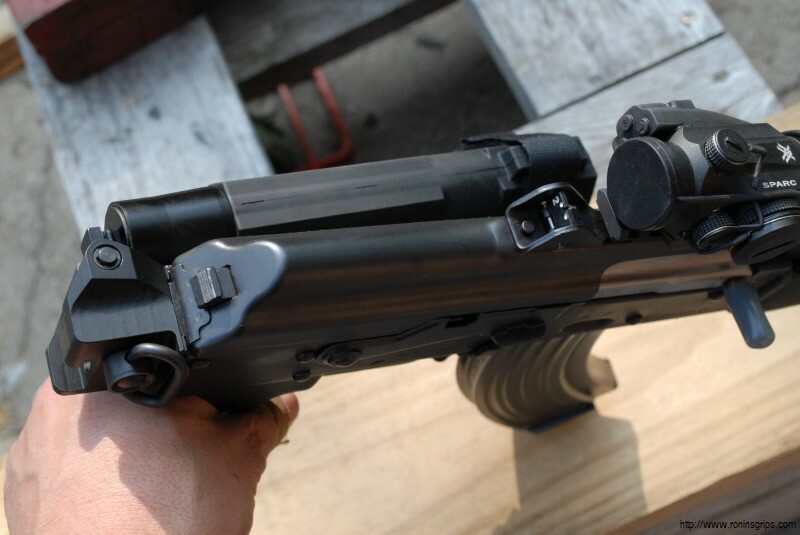 The Lynx shotgun uses Saiga magazines so this design is common and writing up what to do might very well help others out. So with my mind made up, it was just a matter of finding the time to do it. A couple of weeks went buy before I could dig in but finally the time came. I’m going to try and show you what I found and explain what you need to do to correct it. 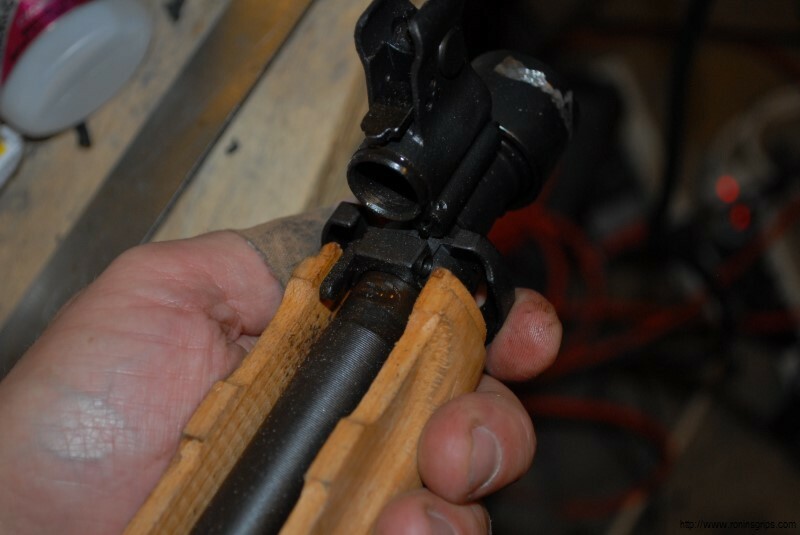 You’re going to need a Dremel (or similar rotary tool), rubberized polishing bits, felt/wool polishing bits, and a plastic polish – I use Plastix a lot but even toothpaste would work. Yes, toothpaste is a very fine grit polish – you can even use it to polish plastic headlights. 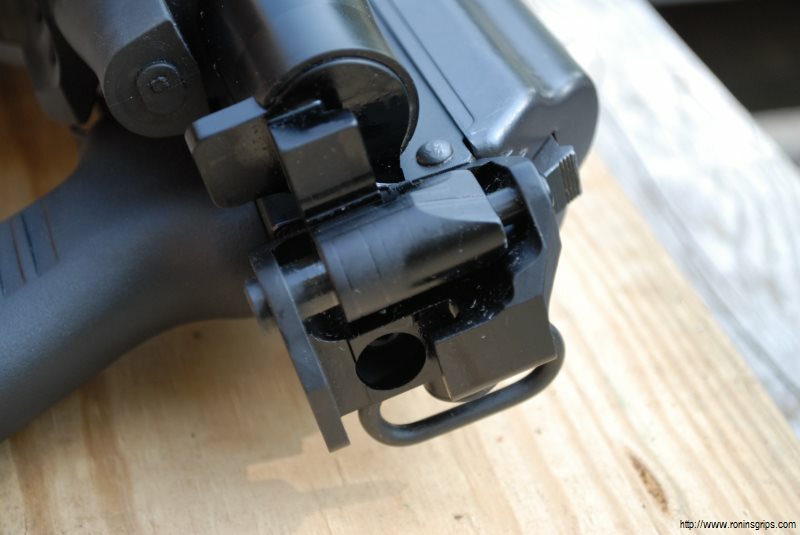 The SDS magazine comes apart just like any AK magazine – you push the button on the bottom with a screw driver and slide the floor plate off of the magazine body. Now take a look at it. It can only push off one. 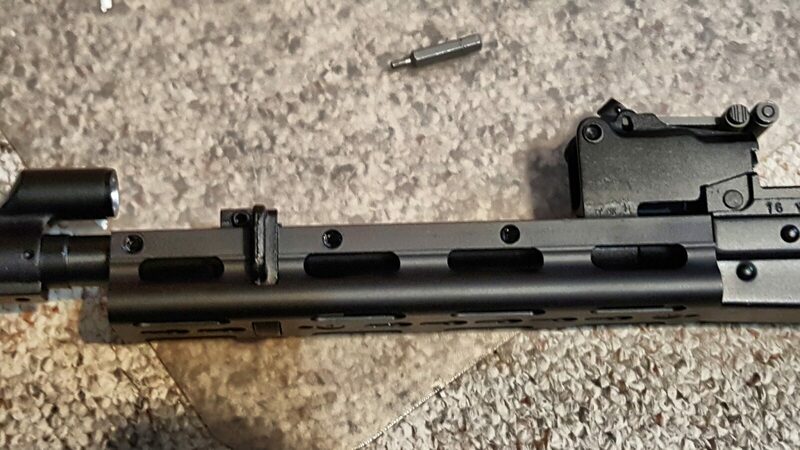 All of the magazine Parts in the SDS can only go one way. So push the button down and shove the floor plate in the direction of the opening. 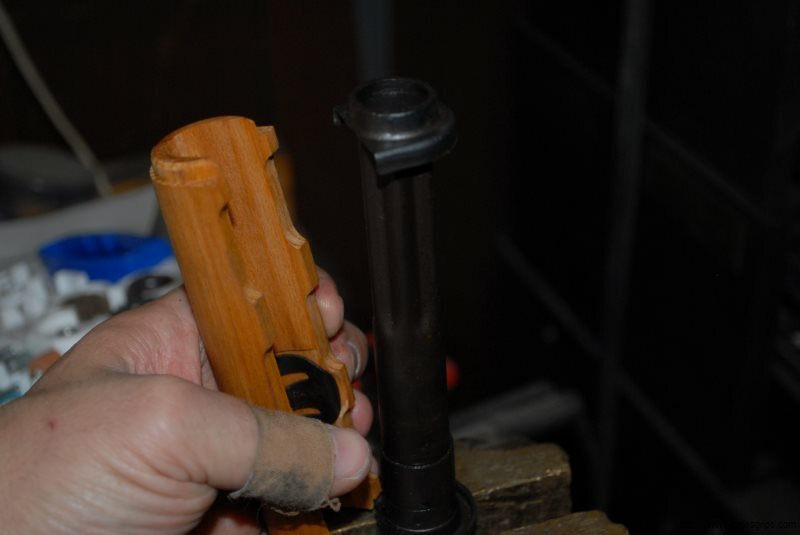 You may need to use a small Mallet or something hard to give it a little bit of a whack to get it started. Now once you get that floor plate off the rest is going to want to spring out so use your thumb to keep it from flying across the room or in your face. 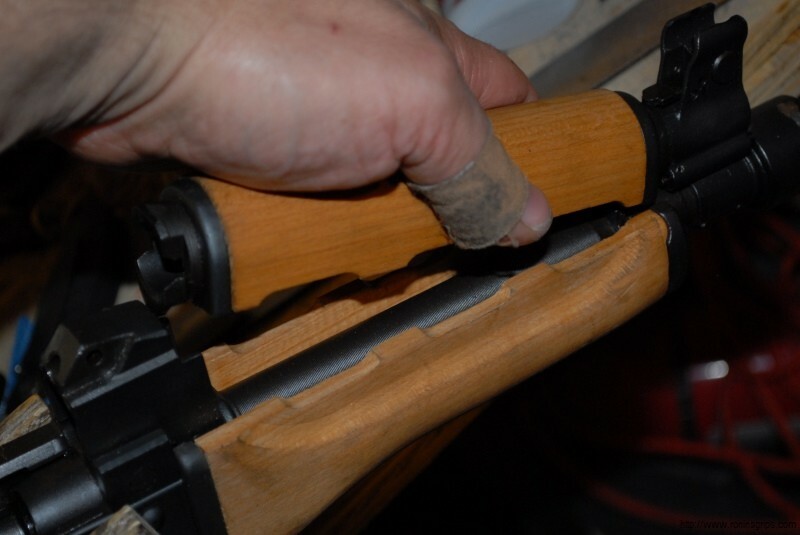 The problem area in the magazines seem to be in the upper inch to inch and a half. 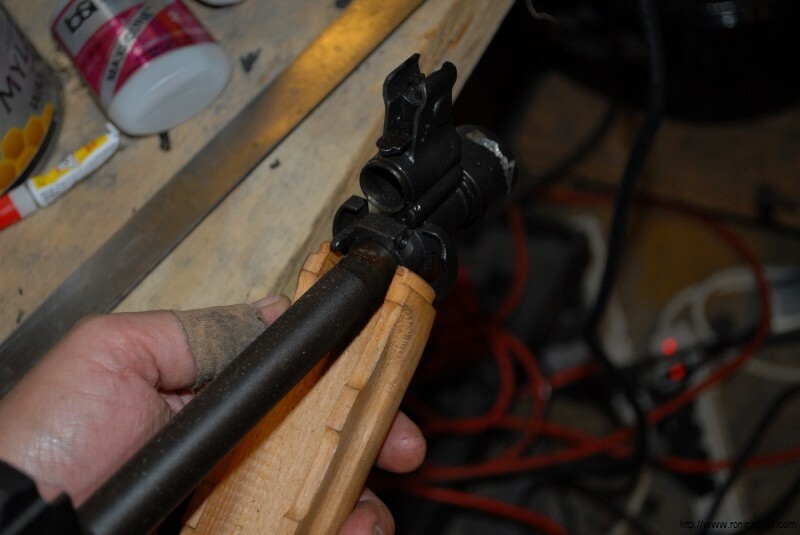 You’ll see a mold seam that needs to be erased using the Dremel tool with the rubberized abrasive tips as well as it being tight in general all the way around. 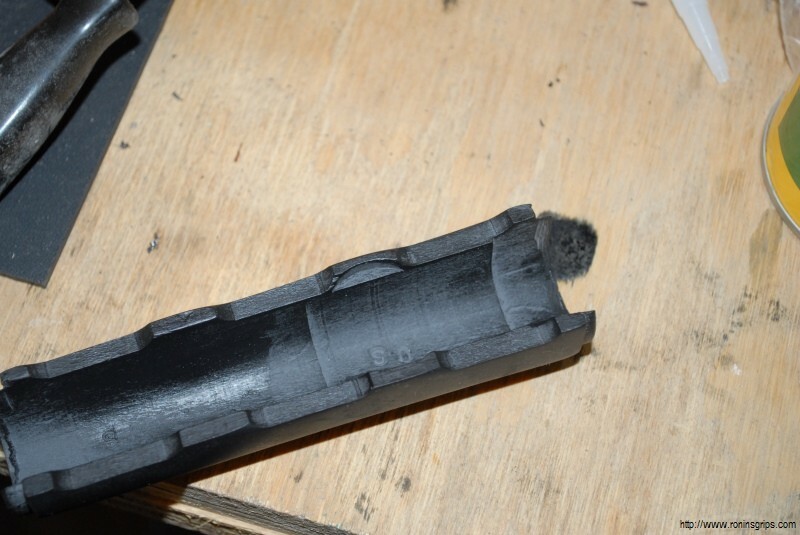 So the first thing I did was to use a small rubberized abrasive tip to erase the mold seemed entirely that runs around the inner area of the magazine. In the next two photos you’ll see a shiny protruding lip inside the magazine that is just above the follower — that is the mold seam I am speaking of. It’s important to note that the follower is binding even before getting to that seam. I used a small rubberized fine abrasive tip in my Dremel to literally erase the mold seam flush with the rest of the mold body. 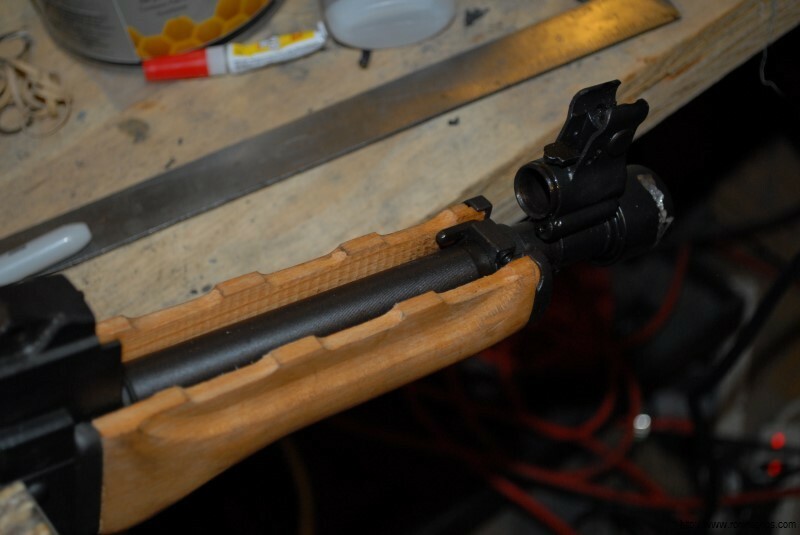 At this point I blew out the magazine body with compressed air and the overall fit of the follower to the magazine body was just too tight. It and the body needed to be thinned a bit – not a bunch, just a bit. In terms of the trimming, I would definitely recommend that you use the abrasive tip to remove just a little and test over and over. I can’t stress this enough – don’t try to do it all at once. As the saying goes, it’s easier to take more material off than to try and put it back on. I wound up switching to a bigger rubber abrasive wheel when I did the follower and as far as I could reach in with the bit on the Dremel. The bit is still fine, I would not recommend using anything very aggressive. 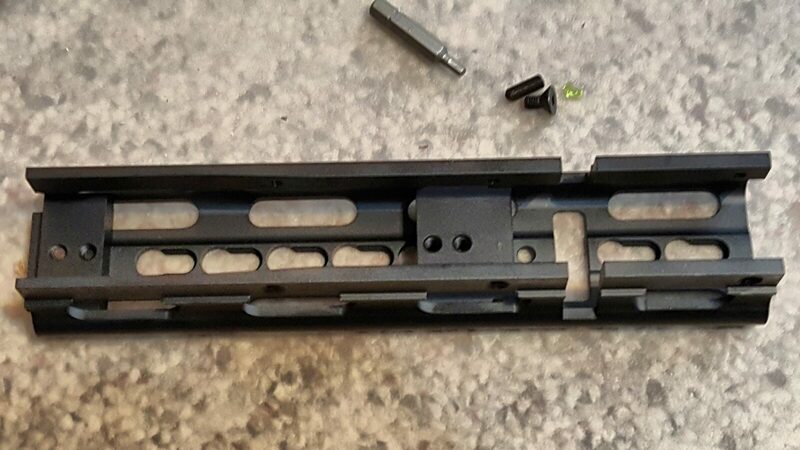 I used this bit on the follower and the inside of the magazine body. You just need to take a little bit of material off. I went all the way around the magazine body and the follower in that top area. You’ll see just below the scene there is a little elevated area inside the magazine that guides a follower up into position that is too tight. Now I found I needed to do a second step to really smooth things out. 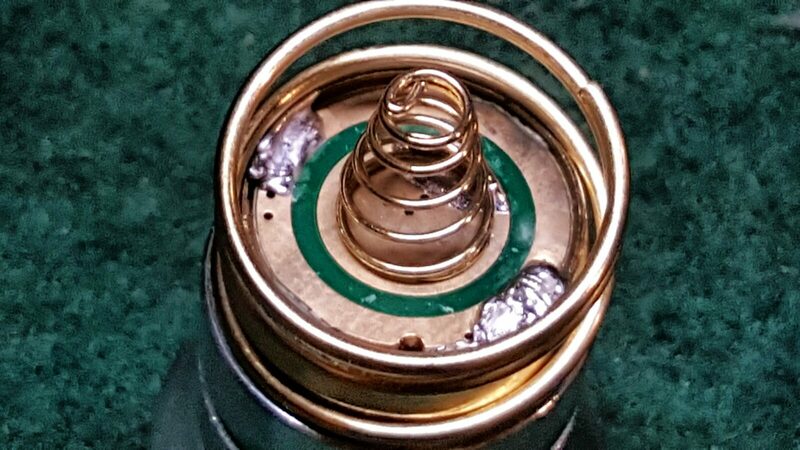 The abrasive bit leaves a rough surface and the next thing I did was to use a felt bob/bit with felt on the end in my Dremel along with Plastix polish to finely polish all the surfaces. I tried skipping this step with a couple of the magazines and the end result was so much better that I went back and polished the surfaces I worked on in all of the magazines. The polishing with the Plastix really made a big difference and I would recommend you do it as well. 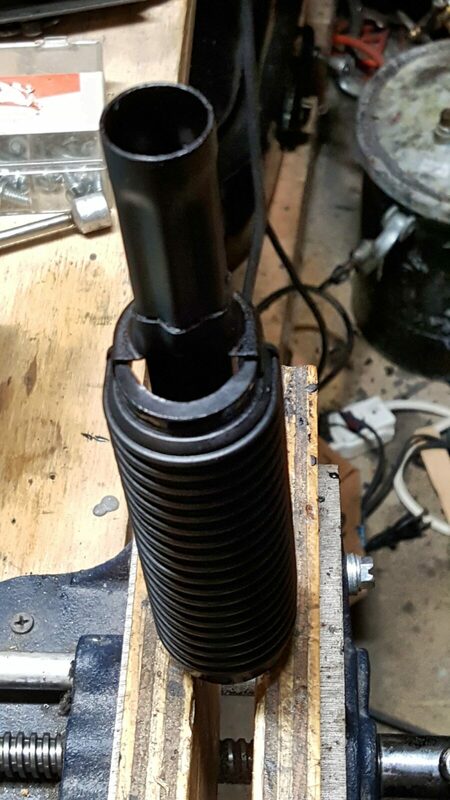 You could tell the parts were smoother. 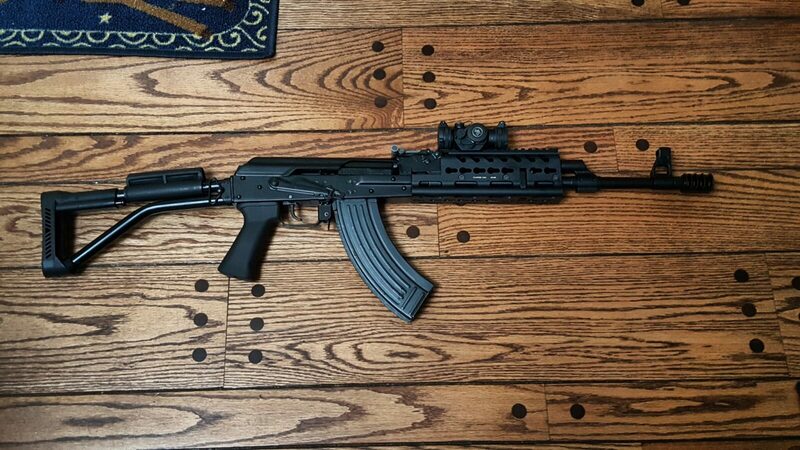 Definitely wipe everything down and do not leave the grit in the magazine. 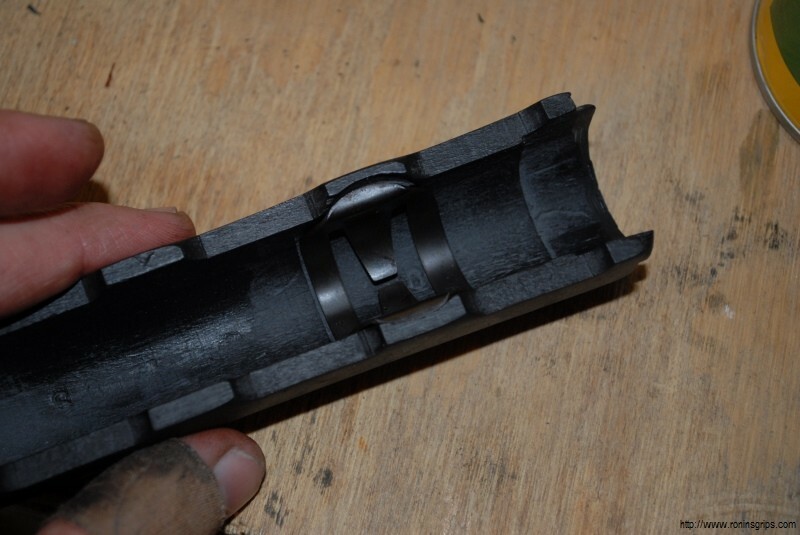 Next, I sprayed the Dupont Teflon dry film lubricant in the magazine body and on the follower. I would not recommend using oil or anything that leaves a residue that dirt will stick to. Instead you want something that is going to leave a dry film behind. This really fixed everything once and for all. I then reassembled the magazines. 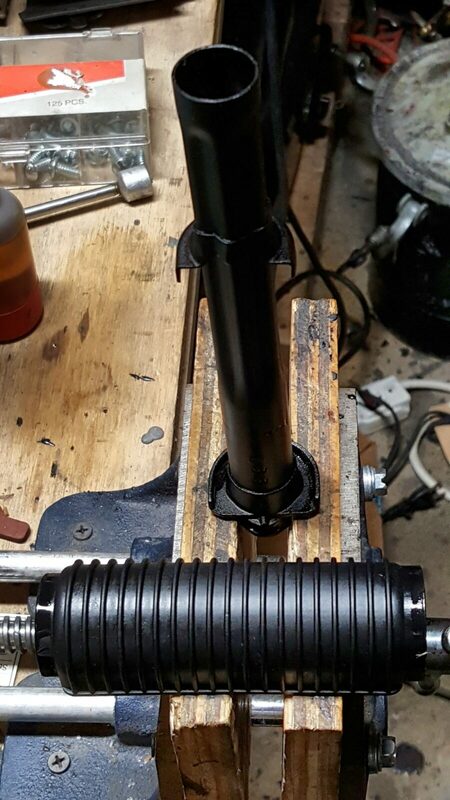 As mentioned the parts can only go one way. I never took the spring off the bottom plate so I didn’t have to worry about its orientation. I went ahead and did one final spray of Teflon around the follower and let it run down in. While it is still a liquid, the lubrication will not be very good. You need to let it dry. In my case, it shot up like a rocket. Job done. The magazines all seem to work fine now. I think the problem was a combination of the mold seam and that inside area being just a tad too tight. I hope this post helps you out. Small side note to SDS – you really ought to fix this. 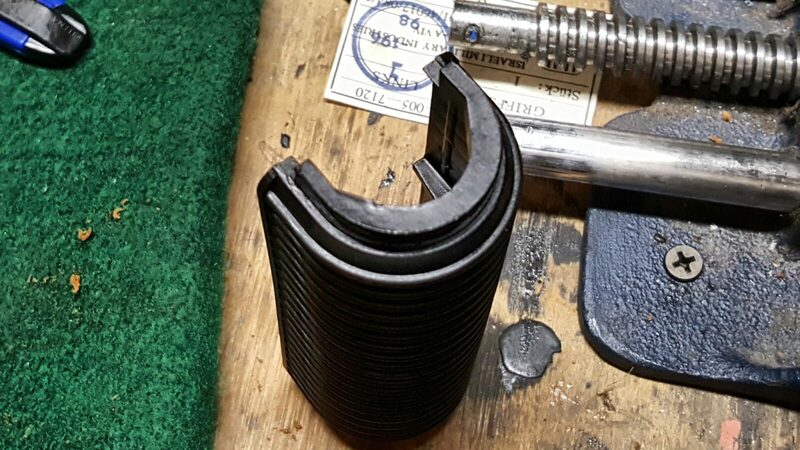 10/15/18: First thing this morning SDS reached out to me and is sending replacement magazines. I will test them and report back. They have sold over 3,000 magazines with just a few problems so I might just literally have a bad batch. Amazon links are at the bottom of the post. 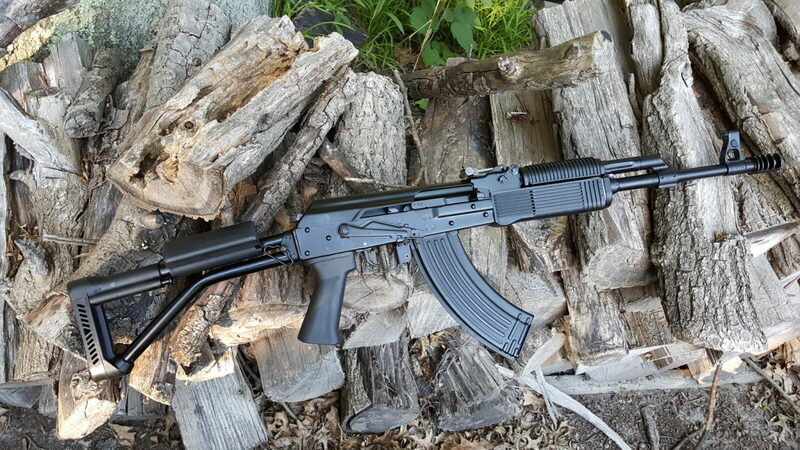 Folks, I’ve been involved with AKs since about 2006 – not a long time but long enough to watch the AK, or Avtomát Kaláshnikova, rise from a firearms embraced kind of at the fringe by preppers and guys who realized that it was extremely reliable and fun to shoot. 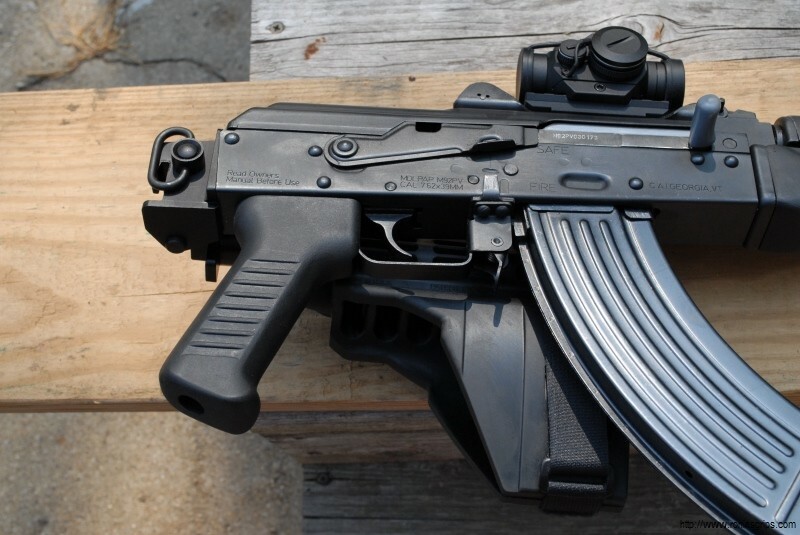 Today, the AK and its many, many variants (AK-47s, AK-74s, Veprs, Saigas, PSLs, M70ss, PAPs, SLRs, Galils, AMD-65s, etc.) are really in the mainstream. 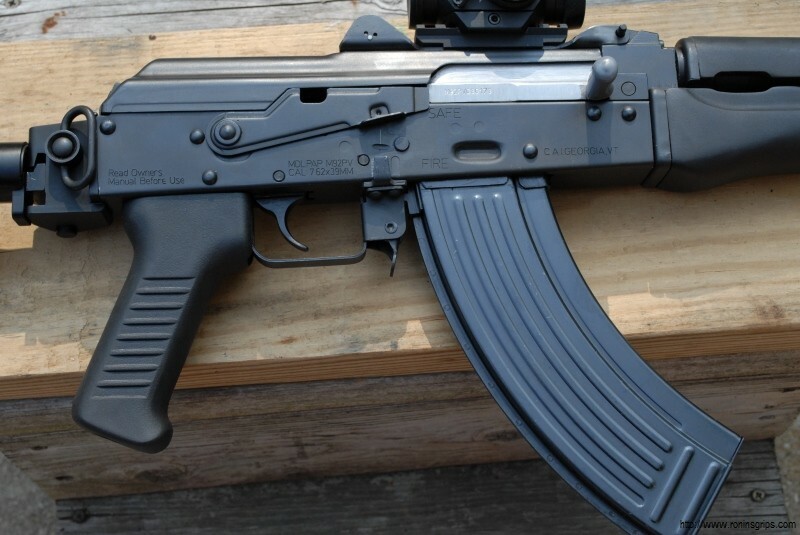 There are tons of rifles, ammo and accessories available. 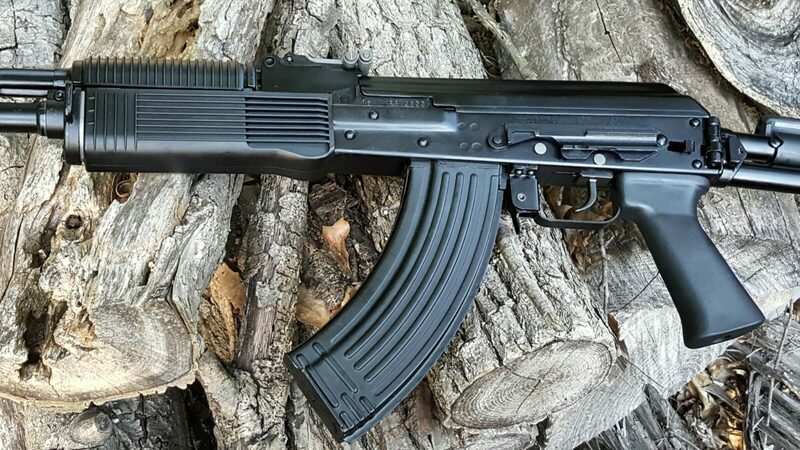 What I also think is interesting and very cool is the rise of AK clothing (T-shirts, sweatshirts and hoodies mainly) where you can show off your favorite firearm — or at least one of your favorites 🙂 These used to be limited-run hard to find stuff years ago. Now, thanks to eBay, there are tons and tons of options in terms of designs, sizes and colors plus you can see how well the vendor is doing in terms of sales volume and ratings. 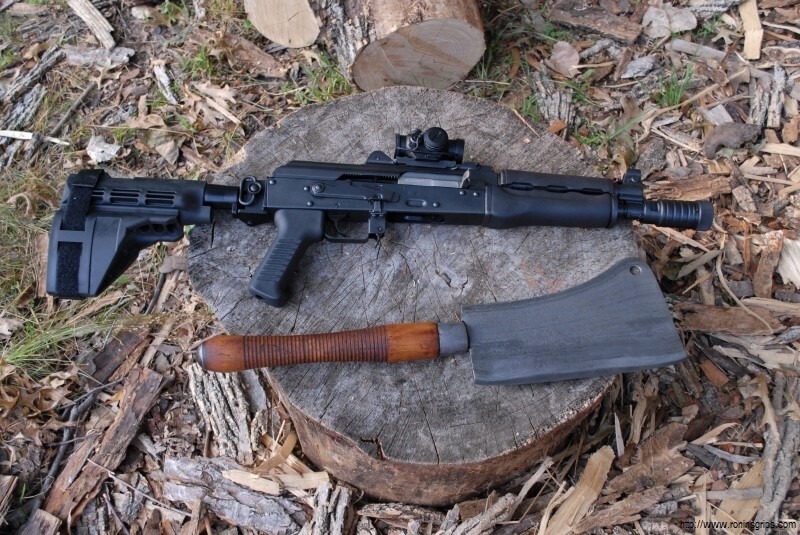 I had to order one with the 7.62×39 spam can! Note, some of the images don’t show but when you click on the link you can see the item and some of them are hilarious! Needless to say, I’ve bought a few and hope you find some cool garb to express yourself as well! P.S. If you want to limit your risk a bit, buy from vendors with more sales (I like over 30) and positive reviews. Anyone can get one or two great reviews from friends and family so be cautious. I really like Surefire weapons lights but they can be very expensive. 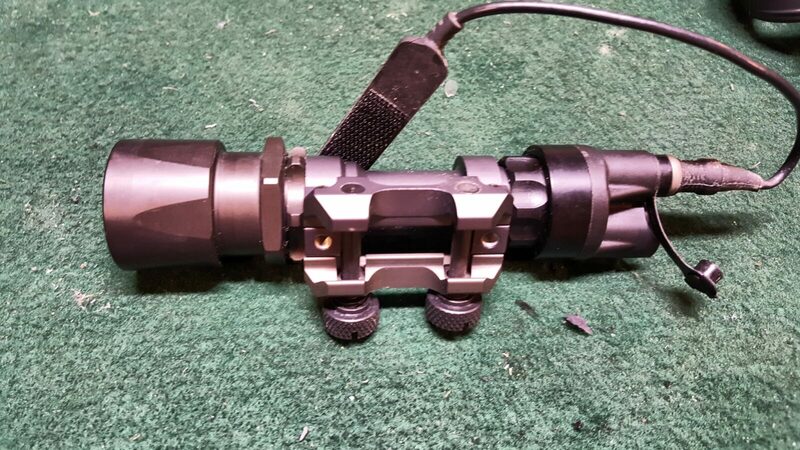 If you haven’t noticed it, there are some great deals on new in the box Surefire M951 weapons lights on eBay. Now hear’s the thing – they are new old stock – they have the old Xenon bulbs with them but these things are often unused or lightly used and include the picatinny rail mount and pressure pad. You can upgrade them to an LED for often less than $20 for both a brighter and longer lasting light. 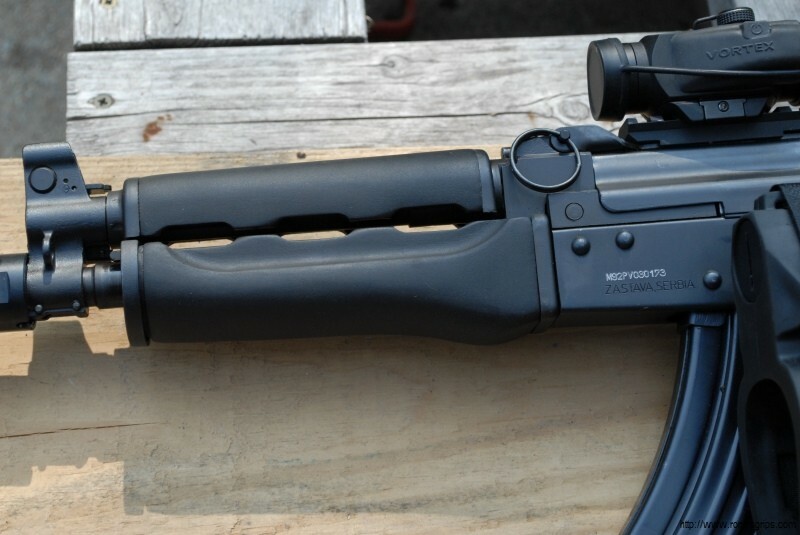 To find the Surefire M951, the trick I found is to search for one of the many “kit” packages that are for sale. 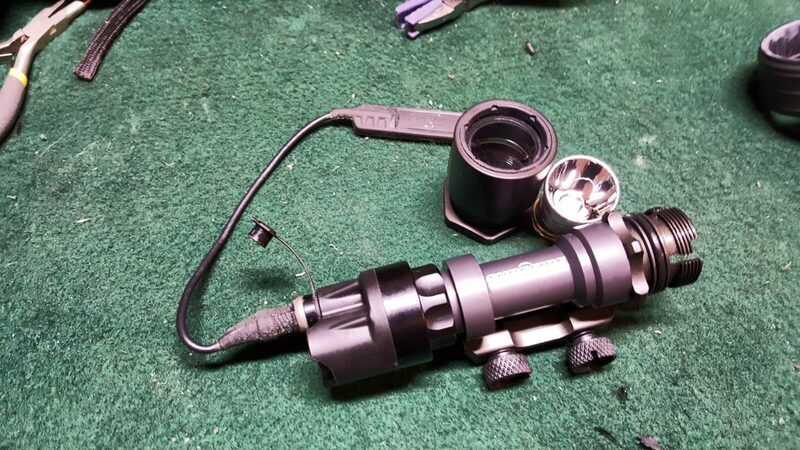 The light I purchased was a “Surefire M951 Kit02” to be exact. 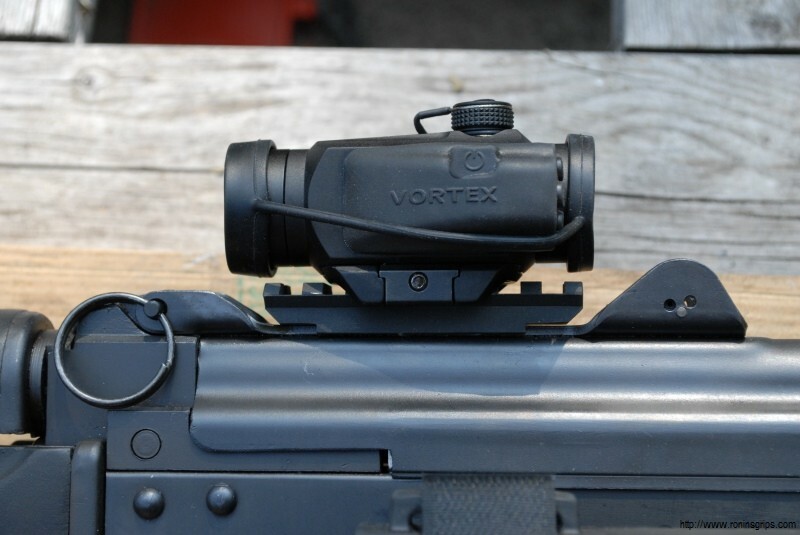 The M951, and a number of other Surefire lights used the P60 Xenon bulb. There are a ton of LED upgrades out there and I opted for one from Amazon. 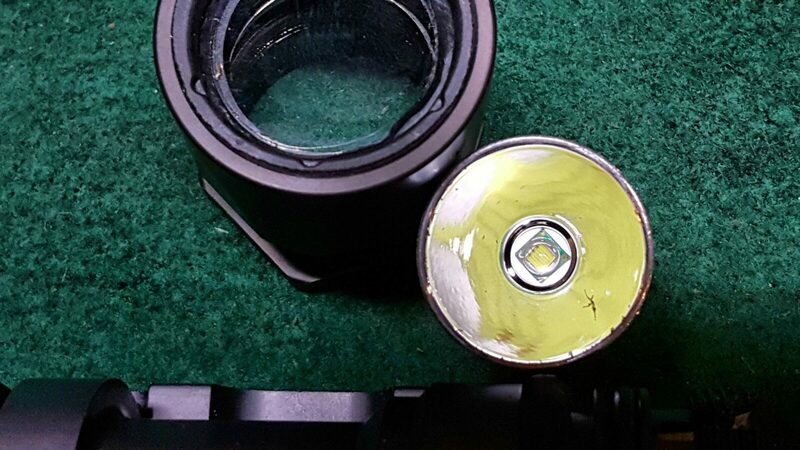 Here is the LED reflector I used – I just had to remove the external spring (it pulls right off) and put it in my M951. 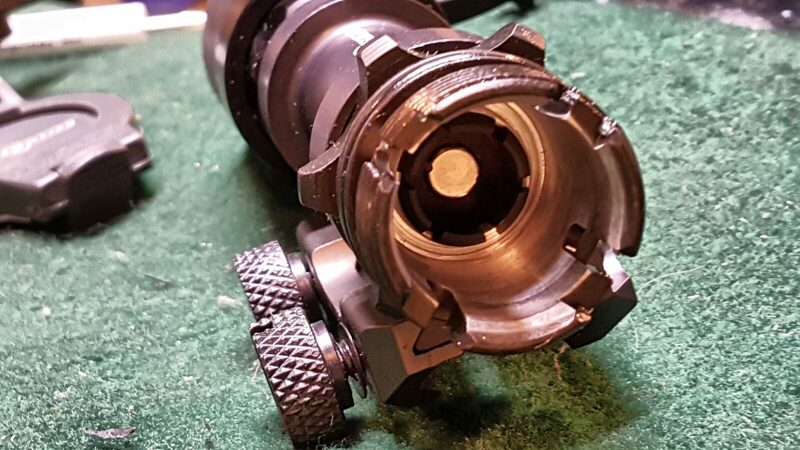 Surefire sells replacement heads for the M951 but they are pricey – $45 and up. 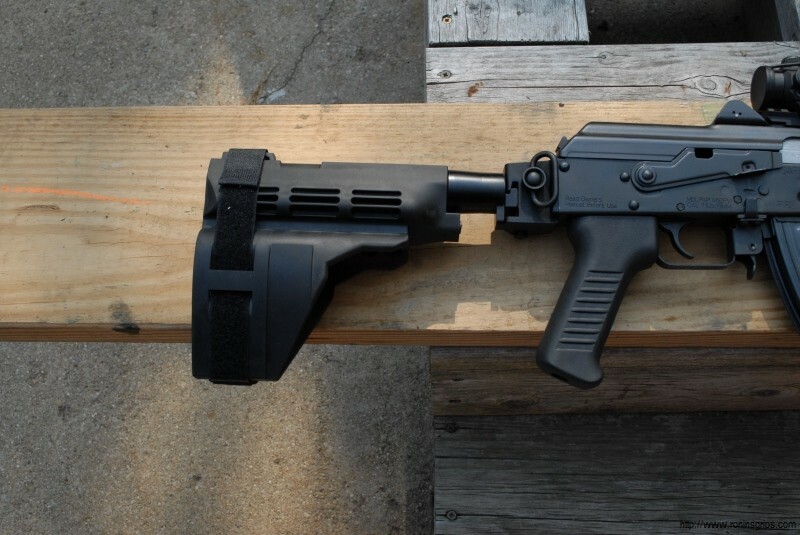 It held up fine on both a 9mm and 5.56 AR. 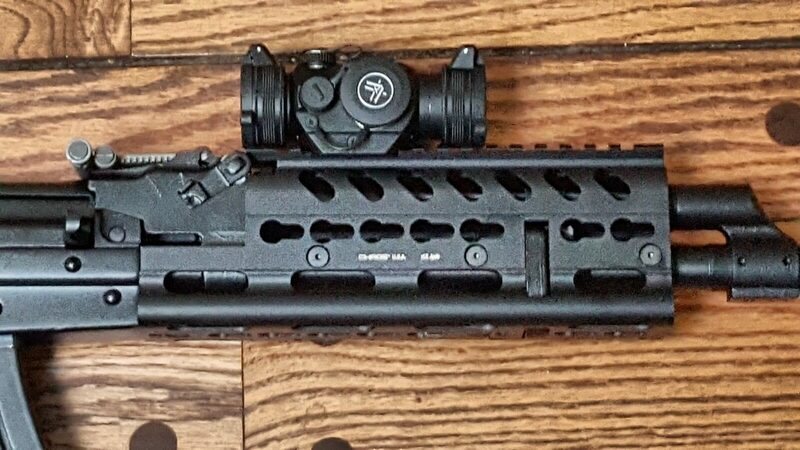 It was a fun conversion project and my buddy has it on his AR now. 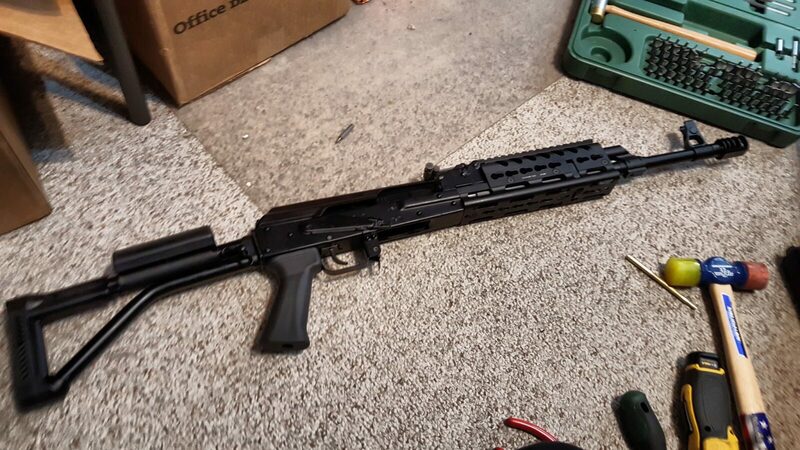 Here is an automated real-time search of eBay for “Surefire M951 Kit” be sure to check what they are selling and that the seller is reputable. 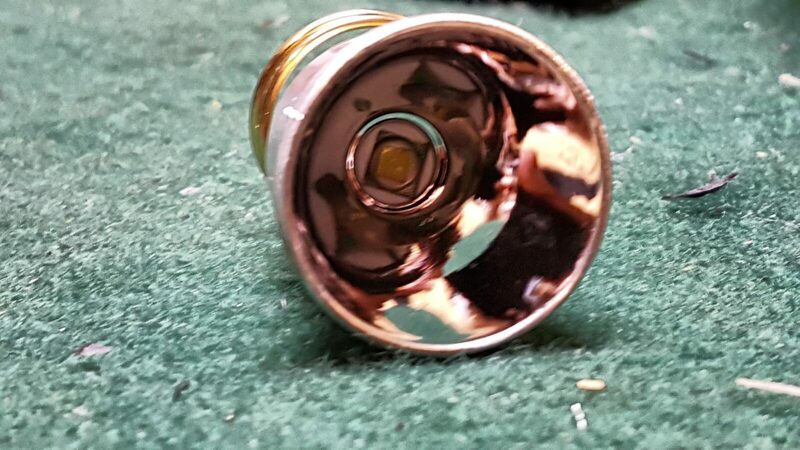 You’ll notice some sellers get sneaky with putting words in their listing so stuff that is not legit shows up such as cheap third-party flashlights, accessories, etc. 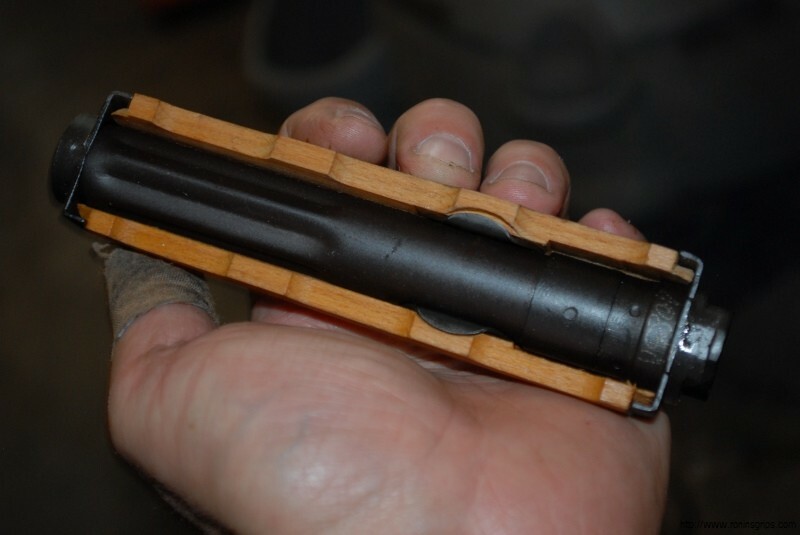 This shows what the M92 looks like today. I haven’t had time to go to the range yet but the “feel” is fantastic in terms of weight, balance and length. CNC Warrior nailed the folding arm brace. Wow – how cool it is! This is another long overdue step by step guide. We have been selling M92 handguards for over two years and people ask about how to install them so let’s try and take this step by step. 1. Open the dust cover so the gas tube can be removed. 2. Take a look at the upper portion. 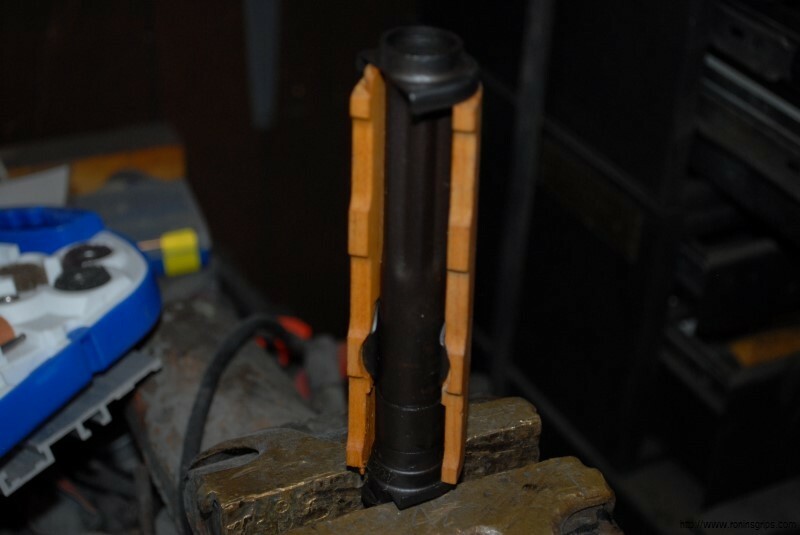 The gas tube cover is actually a semi circle held in a groove formed by sheet metal. 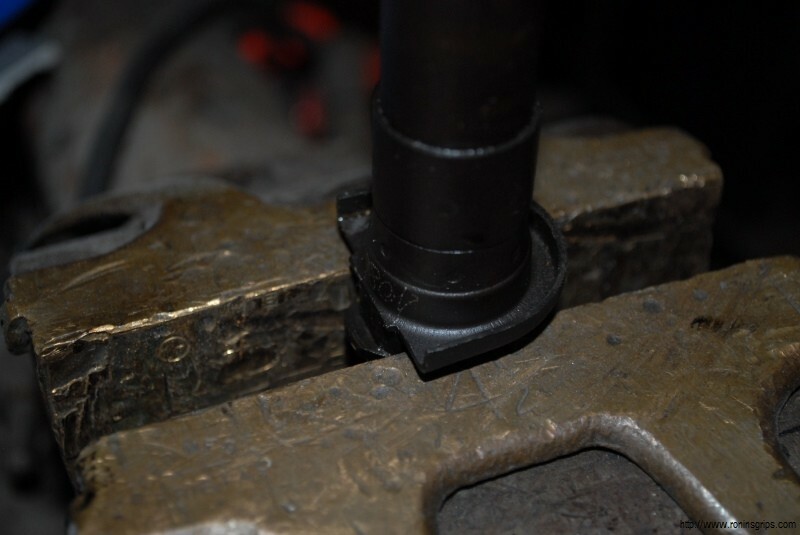 To remove the cover, secure the forged metal end of the tube (NOT THE SHEET METAL END OR IT WILL BEND) in a vise or use an open end wrench. 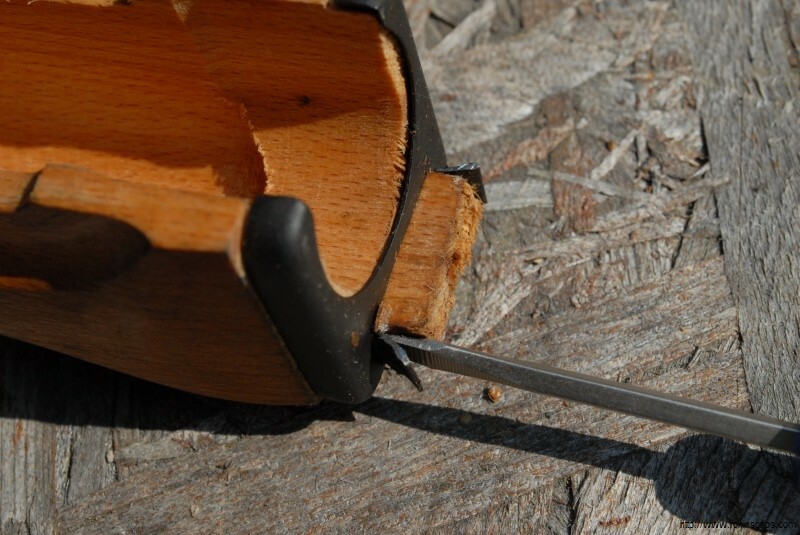 Turn the cover 180 degrees until it faces the opposite way and it will come right out of the retainer. 3. 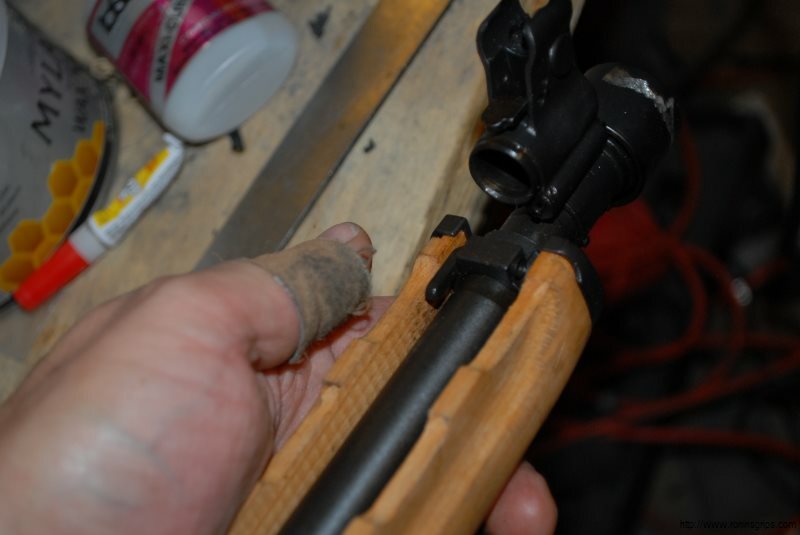 See the metal clip in the gas tube cover? 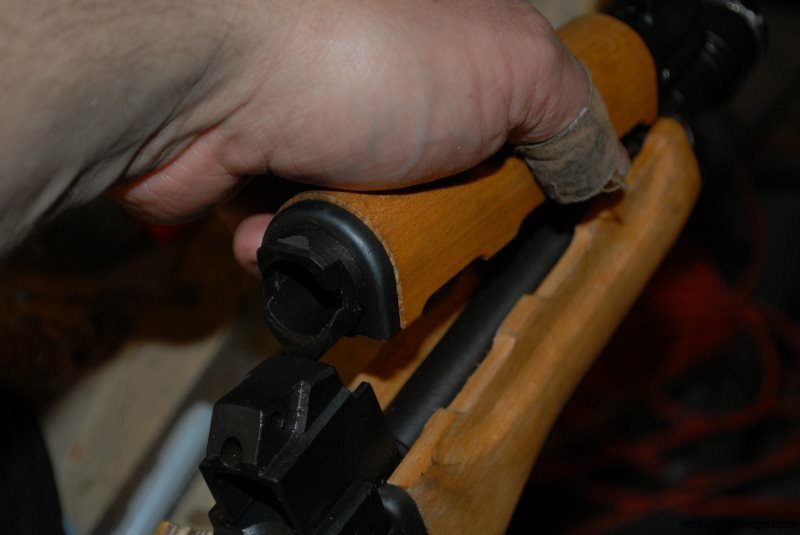 You will want to move that clip to our gas tube cover as it helps secure it in place. 4. 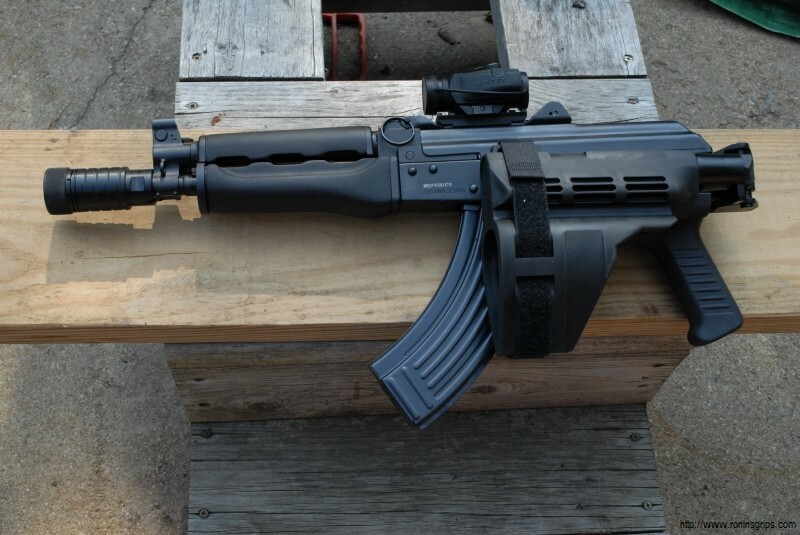 Next, look at the lower handguard. 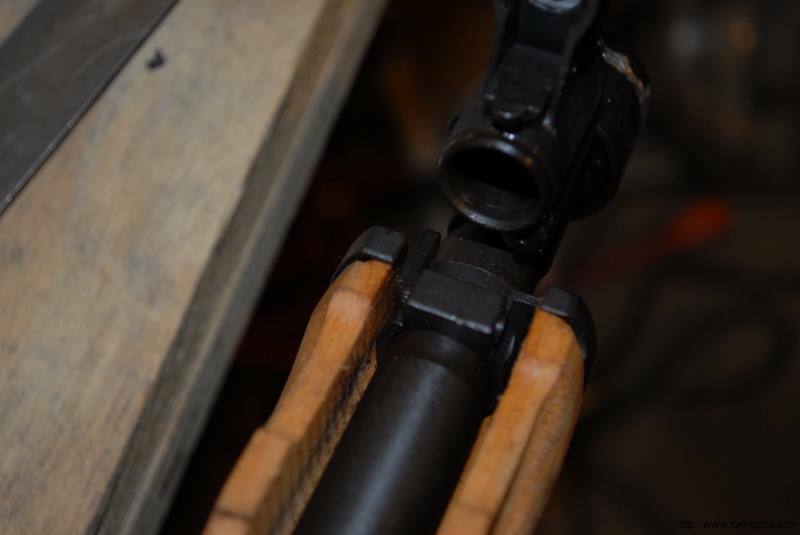 In the front of the guard on the left side you will see a small lever that needs to be rotated inward. 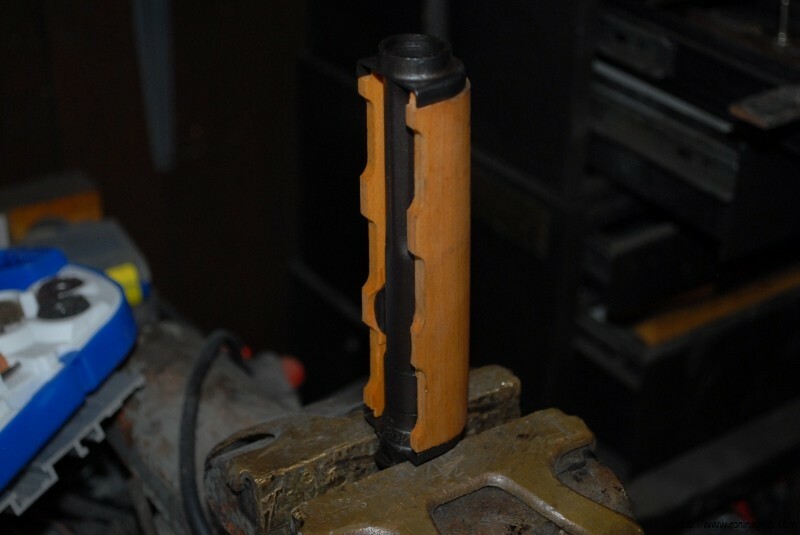 Once that is done, the handguard retainer can be slid forward. 4. 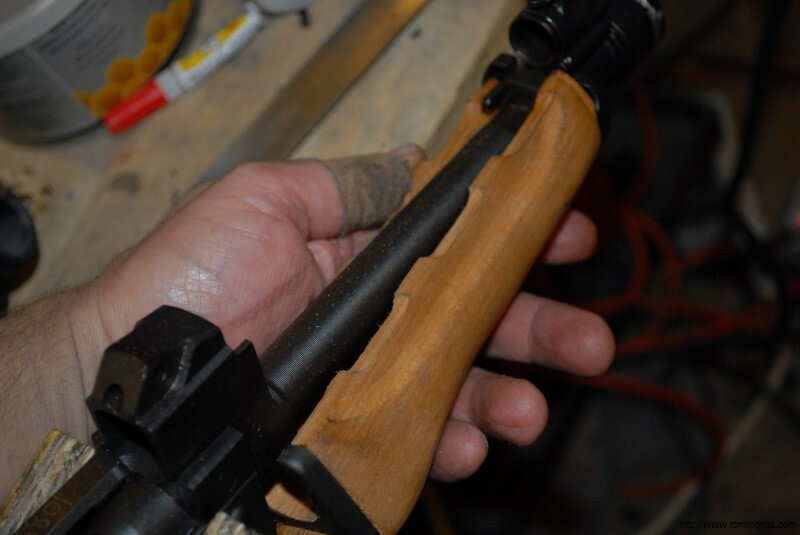 The lower handguard is then pulled forward and down to be removed. 5. I am asked regularly about what a ferrule is. 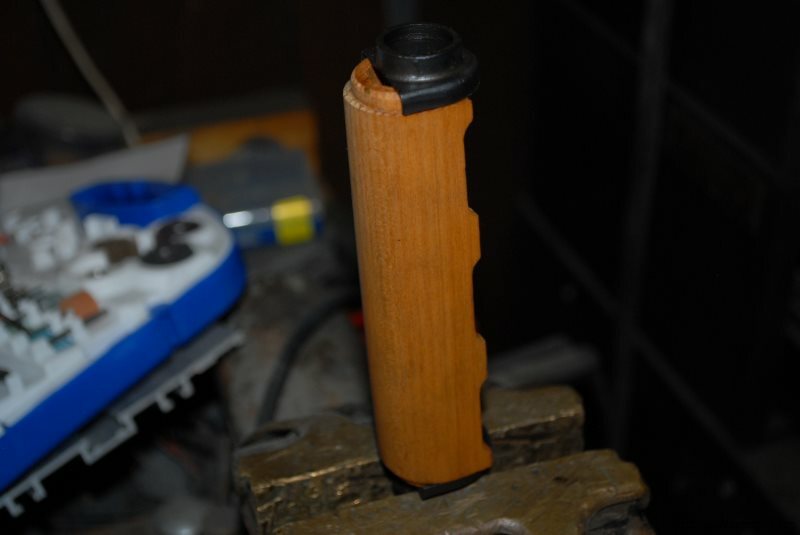 Folks, that black metal cap on the end of the lower is a ferrule. 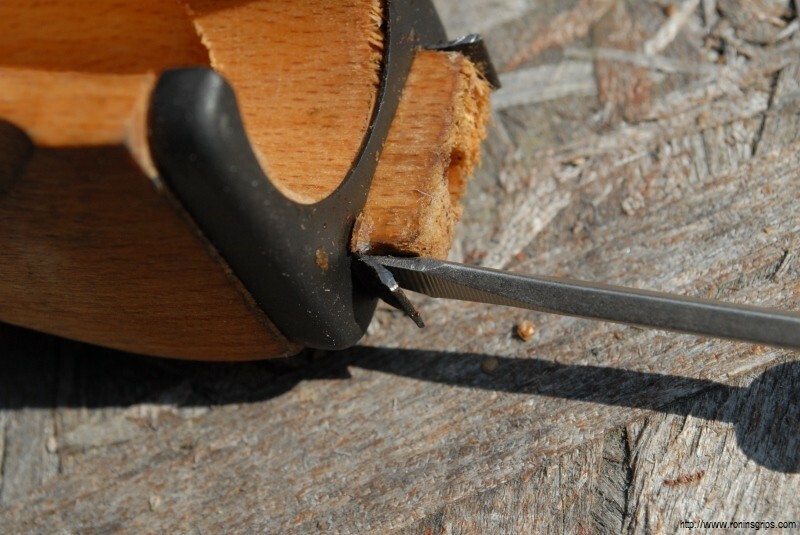 It protects the end grain of the wood from being split open. 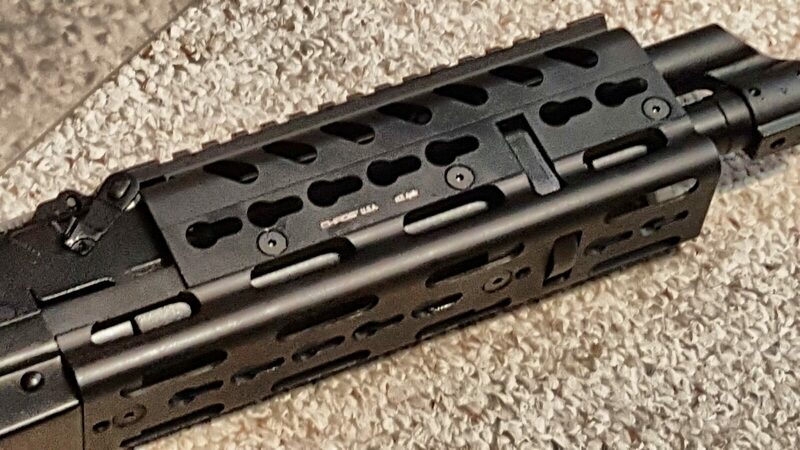 We sell a handguard that can use a ferrule if you like the looks of it plus we sell a version that does not need the ferrule. It is entirely up to you. 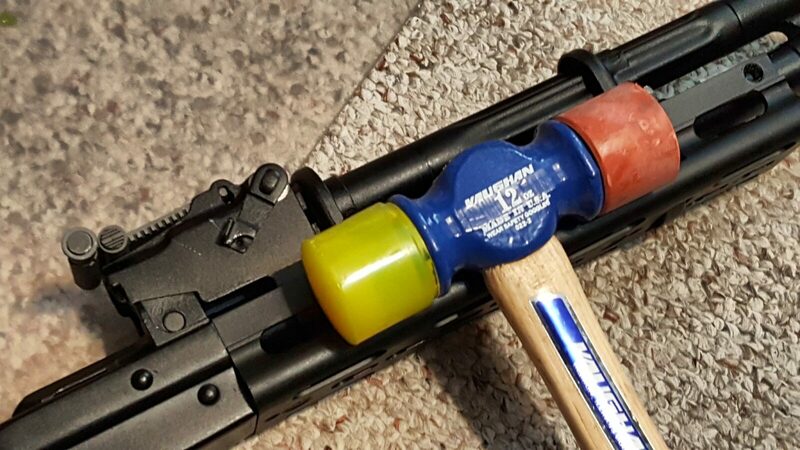 I sometimes use the ferrule to accent whatever color handguard I am working with – for example, Dark Olive Drab to Dark Russian Plum. 6. 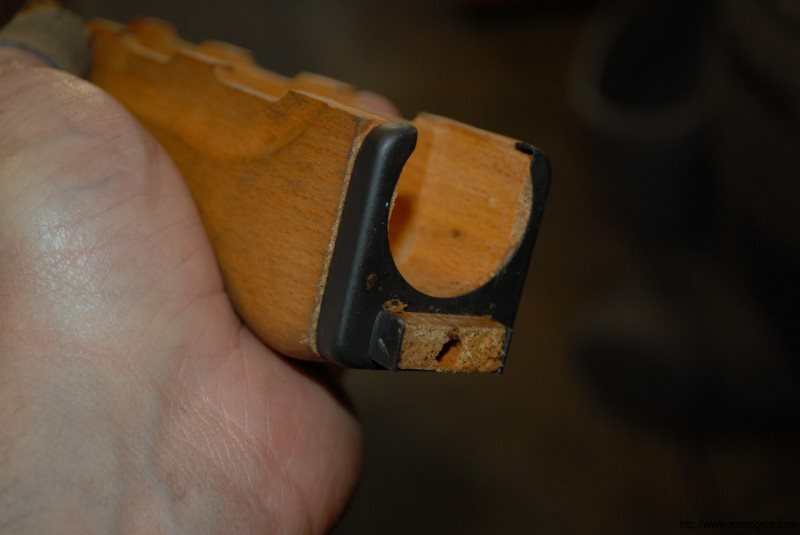 This only applies if you buy one of our handguards that uses the ferrule – you can use your existing ferrule by using a screwdriver to bend the tabs open on the receiver stub and then working the ferrule backward and off the wood lower handguard. You can then glue it to our’s or even leave it loose. 7. 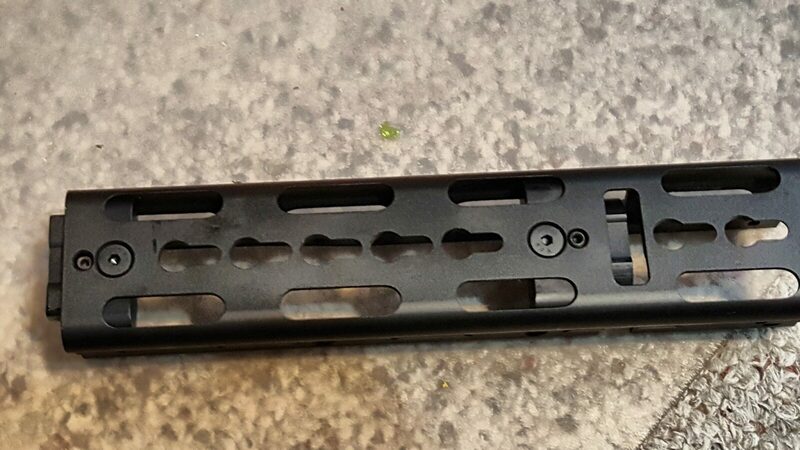 When you install our lower handguard, you reverse the above steps. 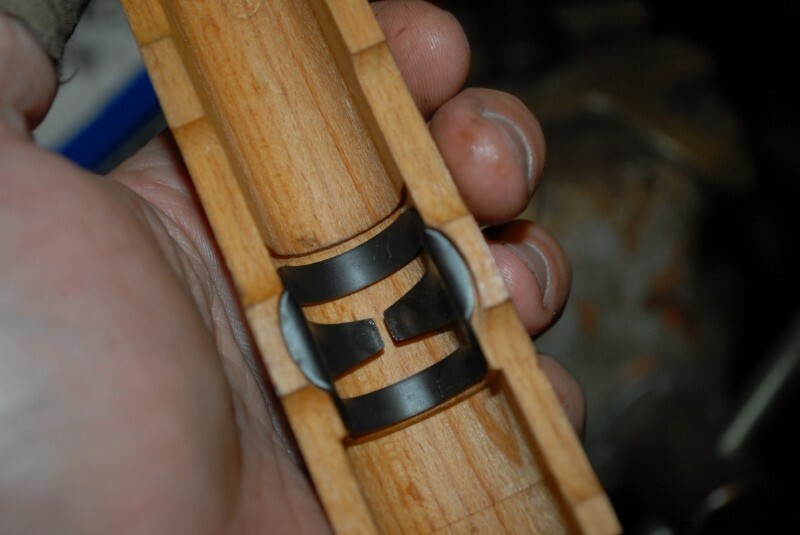 We sell optional shims in case you need to tighten the fit. 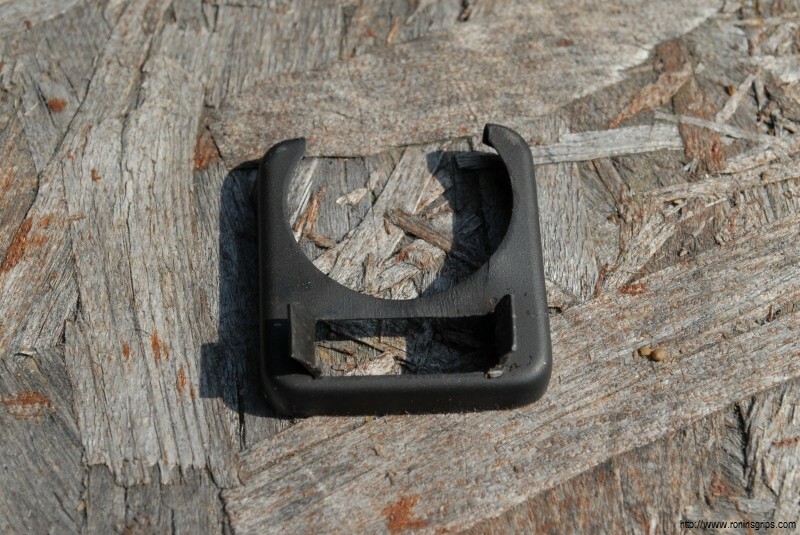 The example shim here is a special orange material we tested and now we use a special hard black rubber. 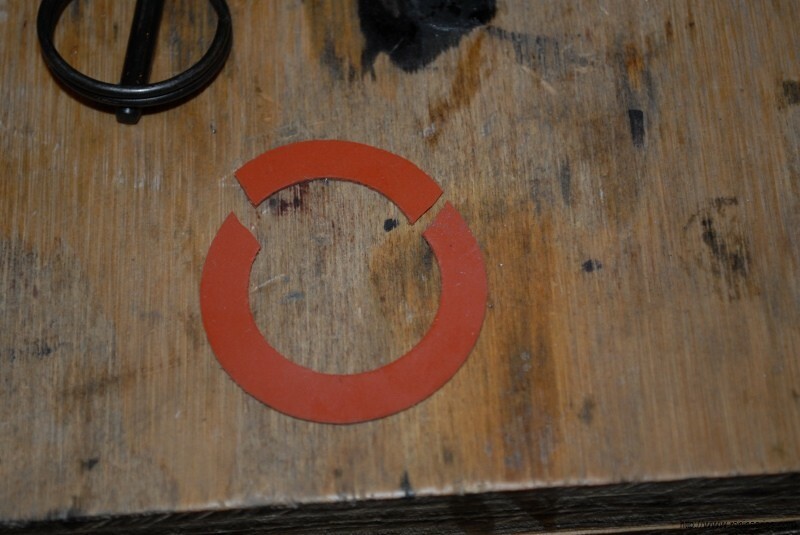 You can buy our shims or make your own. 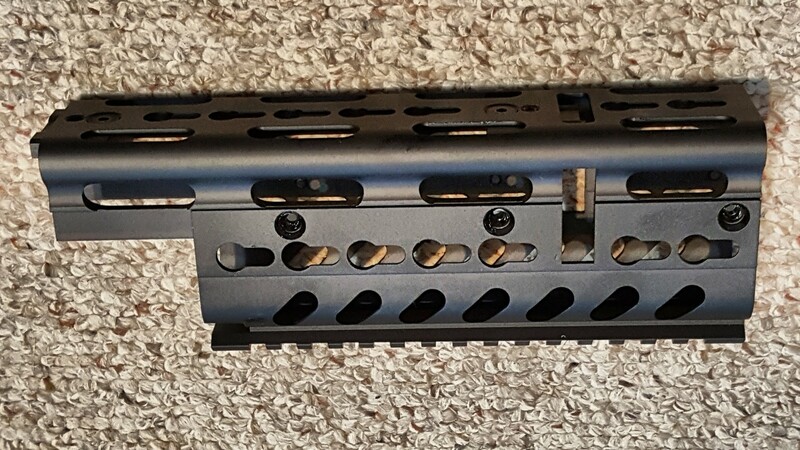 In either case, your goal is to add just enough material to get the retaining lever to turn down firmly and lock up the lower handguard. 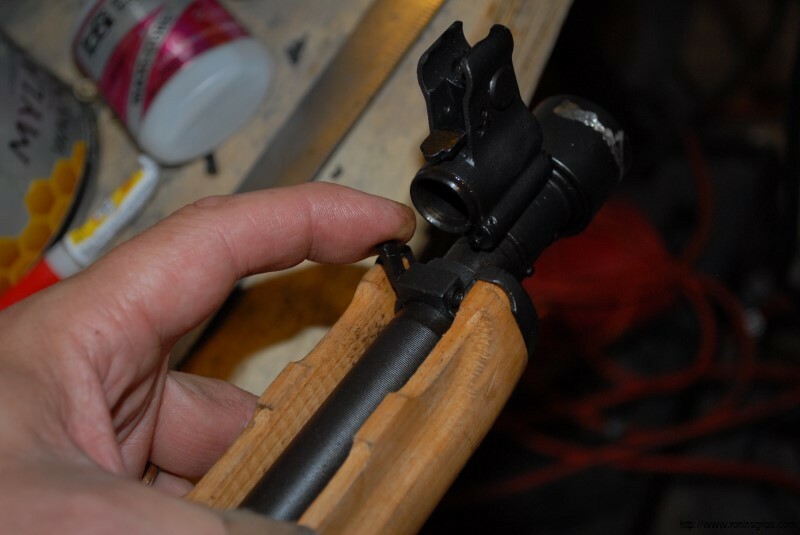 Because AKs can vary, you may find that you need to either add or subtract material so take a careful look at your lower retainer and decide which way you need to move before you go sanding, cutting, filing, etc. So that’s about it. 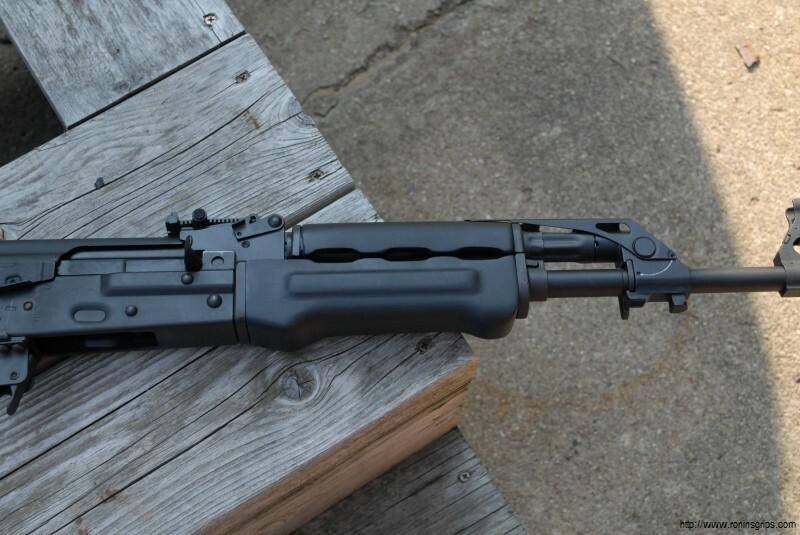 The following are photos of the M92 with the new ferrule cut handguards installed.